Home » Blog » Ask a Traveling Mom » Ask a TMOM: Best Tips for Traveling Alone With a Baby? We moms can be very cool under pressure. That is until we have to take a baby on a plane, by ourselves. Yikes! Just the thought of orchestrating this adventure can feel overwhelming. It may seem a daunting task , traveling alone with a baby. Nevertheless, it can be done, and be done with style. Check out a question from a reader and our Travelingmoms’ input and best tips! 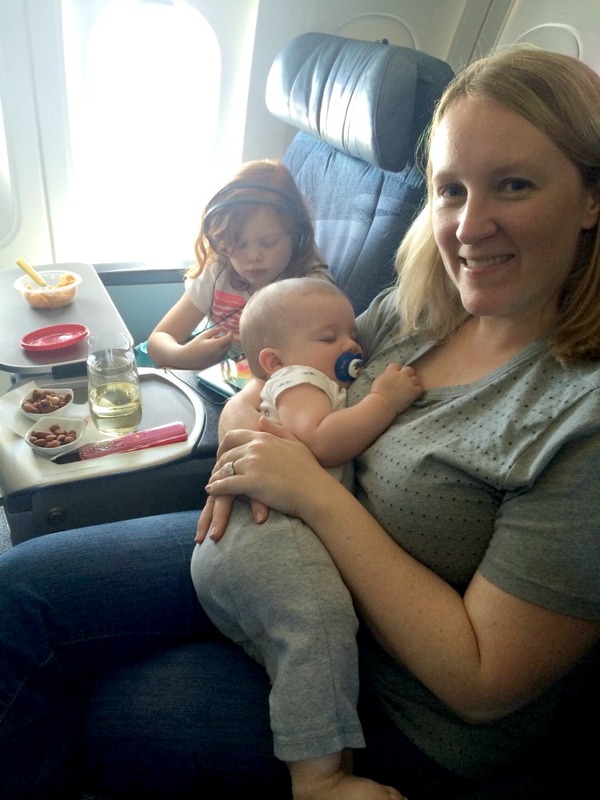 Moms can travel alone with a baby on an airplane…with a few helpful tips! Little ones are a handful. Literally, a hand-full. 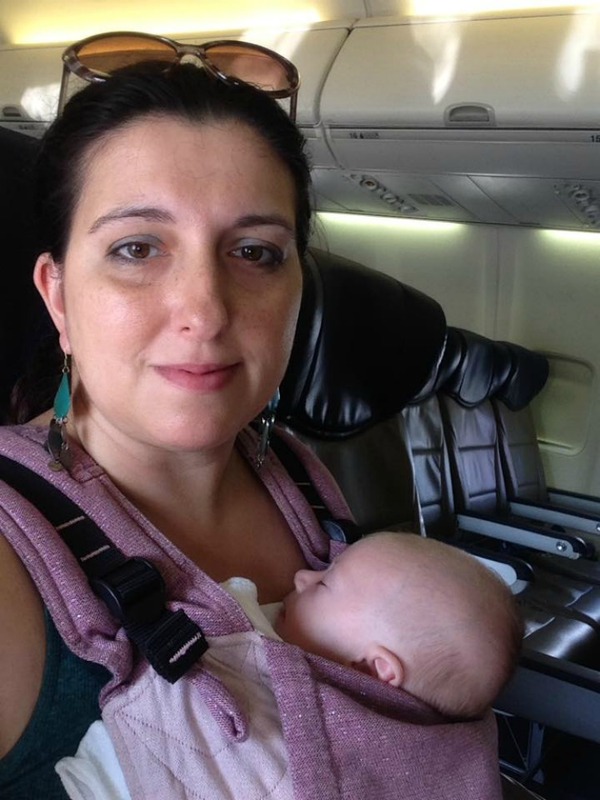 What is one of the best ways to manage a solo trip with an infant on an airplane? Answer: use items that help to keep your hands free of clutter so that you can attend to a squiggly-wiggly one. Moms (and dads) have a lot to carry anywhere to care for a baby. Bags, bottles, toys, food, clothes…the list goes on and on. How can you navigate an airport with some panache while keeping up with all the stuff? LongWeekend TMom Kendra Pierson offers this great suggestion: Use a backpack for hands-free. Pack extra clothes for both of you. Bring ziploc bags for dirty diapers, extra clothes, etc. Wear baby with a wrap. Wearing baby can help you keep your hands free for the ride on the plane! Day Trips Traveling Mom Julie Bigboy shares her personal experience with this scenario: When I traveled alone with my 6-month-old daughter, I kept her inside a front carrier and they allowed me to pass through security this way as well. I used a backpack as a diaper bag so I was able to stay completely hands-free. I did have to take her out of the carrier for take-off, but I’d put her back in while flying so I wasn’t holding her the entire trip. Travel Hack TMOM Dia Adams says this: This is HUGE: bring double the diapers, wipes, and clothes you think you’ll need for the first few trips. Air pressure changes cause gas and some kids, like mine, go nuclear. 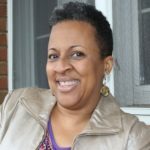 Active TMOM Kimberly Tate recommends getting a clear “lay of the land” on the airplane: Identify early on which bathroom(s) have a changing table, or ask the flight attendant when boarding. Many times there is only a single lavatory in the back with a changing table. And, be sure to pack some disposable change pads and always lots of wipes! 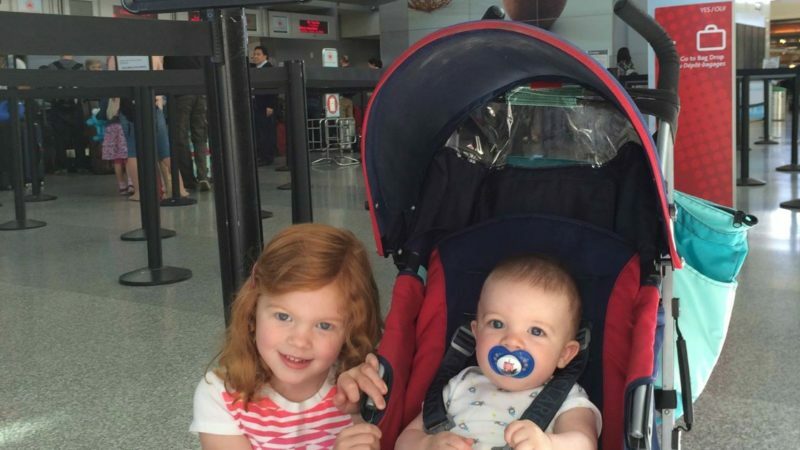 Kid at Heart Traveling Mom Kuleen Lashley reminds moms: Don’t forget the pacifiers! They don’t sell them in the airports. I learned this the hard way and ended up nursing my son through the entire flight. 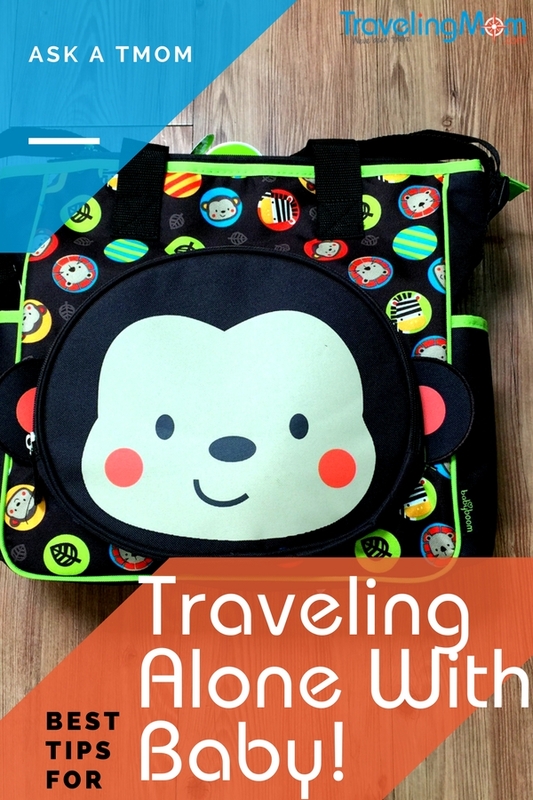 With a bit of planning, traveling alone with a baby can be a successful – and fun – event! The physical forces of flying in a plane (changes in altitude) can mess with any flyer, especially the wee ones. How can a parent make it a little easier on baby as the plane climbs and as it prepares to touchdown? 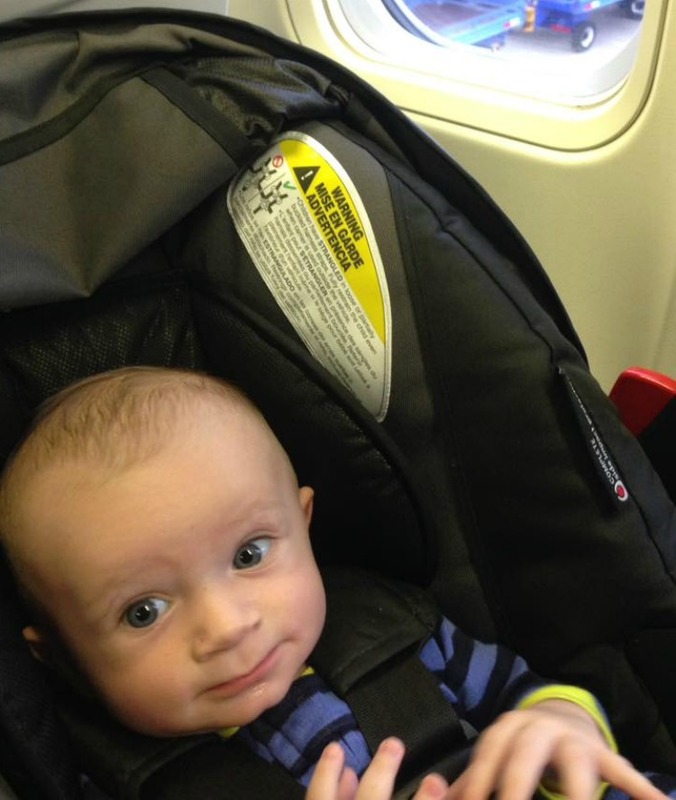 Solo Traveling Mom Sarah Pittard offers this gem: Feed him/her either by breast or bottle during takeoff and landing. It will help his/her ears and likely put him to sleep so you can enjoy the flight. A full tummy helps to make solo travel with baby just a little smoother! Take a great stroller with you that will accommodate your needs for the trip. And when preparing for landing, Sarah also recommends this: Bring a stroller and gate check it so you have it until you board the plane and right after landing. Bottom line tip for traveling alone with a baby: plan ahead, pack smart, and accept help! Flying alone with a baby doesn’t have to be intimidating. We thank our reader for this question, and we hope this helps our moms with littles feel more confident about traveling alone with a baby. And we hope that you will check out our Deals page for great family travel deals! DO YOU HAVE A FAMILY TRAVEL QUESTION? WE CAN HELP! ASK A TRAVELINGMOM! Impressive moms. I admire their experiences and their gusto. Traveling alone with babies seems very difficult but if you maintain the essential tips and follow them strictly it will be your best journey with your baby. Only a stroller can give your baby full protection. but that must have to be a good quality.